Questions about Elan Lighting 83431? 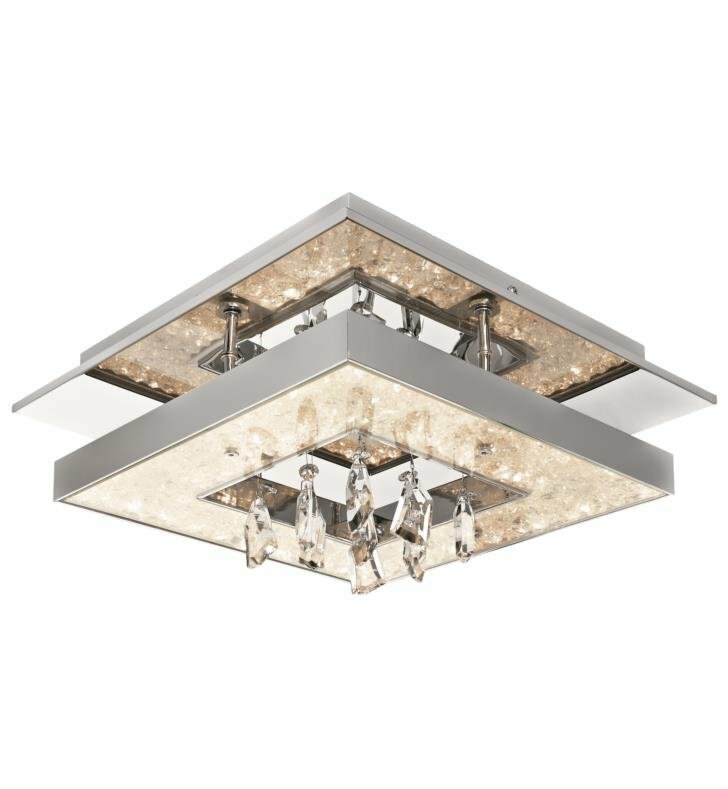 Get a truly stunning ceiling lighting look with this Elan Crushed Ice 1 Light Ceiling Flush Mount. It features a square shaped Chrome structure decorated with textural crystal gems at the top and bottom of the frame, protected by clear glass. Dangling crystal accents bring in even more sparkle. Integrated warm white LEDs shine in this dimmable fixture. W 13 3/4" x D 13 3/4" x H 6 1/4"